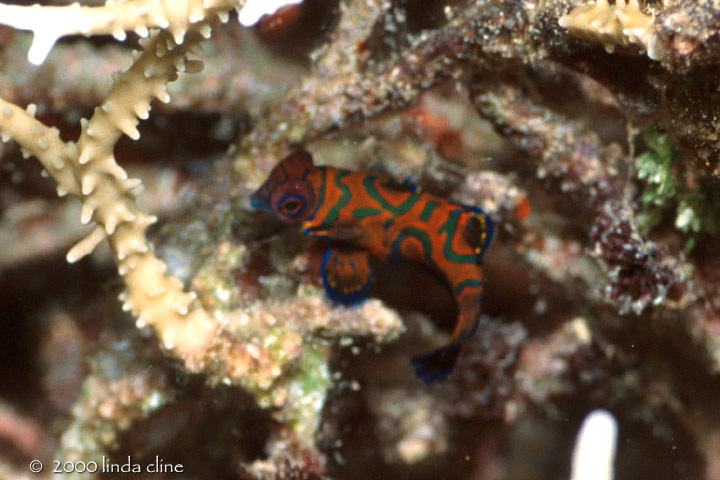 notes: Mandarinfish live in coral rubble and come out to mate at dusk. Those in the Solomons are even more elusive than elsewhere. I had to prefocus my camera and although this picture isn't sharp, I was lucky to find him in the frame.